A bid to kick-start a China-backed trade pact that would cover a third of the global economy is facing a fresh hurdle as upcoming elections across Asia and the Pacific threaten to stall progress on reaching a deal. After the incredibly successful two days of ASEAN Business Meet 2019 held at The Lalit Ashok, Bengaluru, the final day of the Summit witnessed over 2000+ delegates and more than 2500 visitors. An unprecedented travel boom in Asia has spawned new budget carriers and millions of first-time fliers, but a shortage of pilots is threatening to choke that demand. Members of the public are advised to take precautions against mosquito bites before visiting the Philippines, after Taiwan confirmed the first imported dengue cases this year from the Southeast Asian country last week. Filipino working professionals have better work-life balance experiences compared to their counterparts in Singapore and Malaysia, according to a study by a Singapore-based website. Budget airline AirAsia took a hit from fierce local competition throughout Southeast Asia last year, earnings released Wednesday show, prompting the Malaysia-based powerhouse to pause expansion and focus on profit after diving into Vietnam this summer. National dress code is not only representing the country but also an identity of the nation. Despite uncertainties over the U.S.-China trade dispute and a rise in demand for renewable energy, Deepak Kannan, managing editor for Asia Thermal Coal at S&P Global Platts, sees coal to continue powering Southeast Asia. Cloud Computing Market to Gain Exponential Growth in Southeast Asia along with Primary Players – Amazon, Akamai Technologies, CA Technologies, Alibaba, Cisco Systems and Google Inc. The study covers the Southeast Asia cloud computing market value for a period ranging between 2012 to 2025, where 2012 to 2017 imply the actual annual consumption with forecast between 2018 and 2025. Interpol last week brought together counter-terrorism officials, law enforcement officers and immigration agents from across Southeast Asia for a conference in Singapore intended to evaluate the threat posed by foreign terrorist fighters in the region. 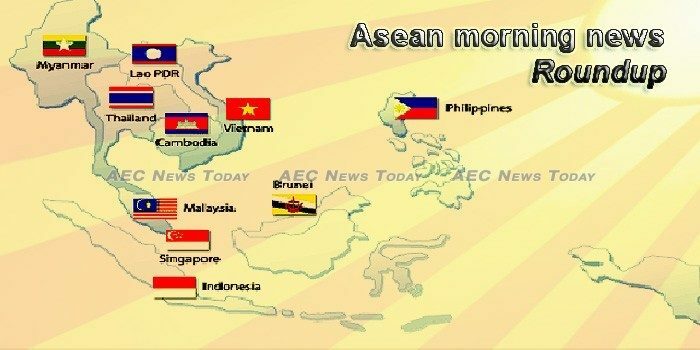 The 19th ASEAN-India Joint Cooperation Committee (AIJCC) Meeting took place in Jakarta, Indonesia on February 26. The China Public Diplomacy Association (CPDA) on Wednesday formally opened here its annual training program for media members from countries in the Asia Pacific and Africa. Local communities in rural areas across the Kingdom have expressed grave concerns over the severe lack of water for their daily consumption amid a prolonged drought that has caused streams, creeks, lakes and ponds to gradually dry up. Two US congressmen have introduced a bipartisan bill to review Cambodia’s preferential trade treatment over the country’s human rights record. A grueling search and rescue effort has saved 19 people from the debris of a collapsed gold mine in Indonesia’s North Sulawesi province but officials said several dozen remain trapped. The Indonesian Government would temporarily stop the issuance of electronic identity card (e-ID) for foreigners until after the 2019 general elections to end polemics on the issue, a top government official said. President Joko “Jokowi” Widodo said that the support provided by Indonesia’s judicial institution is critically needed to improve the country’s economy. He says that the current natural resources have not been maximized to its fullest potential. Construction firms bidding for approval to build permanent homes for flood victims in Laos must pay between 10 to 26 percent of the total cost of the project to local authorities if their bids are approved, sources in the country say. The Bank of the Lao PDR (BOL) has warned the public not to exchange, buy or sell foreign currencies through five categories of non-bank microfinance institutions. The Ministry of Natural Resources and Environment, United Nations Environment Climate Change Adaptation Unit and the Global Environment Facility (GEF) are collaborating to support the improved effectiveness and impact of climate change adaptation in Laos. The tourism sector contributed RM84.1 billion (US$20.7 billion) to Malaysia’s economy last year, up by 2.4 per cent compared to the RM82.2 billion the previous year, said Malaysia’s Tourism, Arts and Culture Minister Mohamaddin Ketapi on Wednesday (Feb 27). ManpowerGroup Solution’s latest Total Workforce Index (TWI) has ranked Malaysia as the 19th most favourable country for business based on productivity, cost efficiency, regulation and skills availability. The UN has launched an inquiry into its conduct in Myanmar over the past decade, where it has been accused of ignoring warning signs of escalating violence prior to an alleged genocide of the Rohingya minority. A French tourist has been sentenced to one month in prison with labour for attempting to fly a drone near Myanmar’s parliament, a court official said Wednesday (Feb 27). Last year, Reuters reporters Wa Lone and Kyaw Soe Oo were sentenced to seven years in prison under Myanmar’s Official Secrets Act, in a case that brought widespread condemnation and accusations of a cover-up by Myanmar’s military. The Metro Manila Subway Project, a 36-kilometer underground railway system dubbed as the “project of the century,” broke ground Wednesday. More than 12,000 people have contracted measles while over 200 have died due to the highly-contagious disease in nearly two months, according to the report of World Health Organization and the United Nations Children Fund. Swiss investment bank UBS expects Philippine inflation to ease below three percent in the third quarter after falling within the two to four percent target set by the Bangko Sentral ng Pilipinas (BSP) on easing oil and food prices within the next few months. Two Thai policemen were executed after being abducted from a tea shop in the kingdom’s violent southern borderlands, police said Wednesday (Feb 27), as bloodshed again spikes in a 15-year insurgency. Karon police have responded to complaints made by a French tourist who was apprehended in Karon for possession of an e-cigarette. Vietnam’s Bamboo Airways and VietJet just signed deals to buy 110 aircraft from Boeing during The US President Donald Trump’s visit to Hanoi for a summit with North Korean leader Kim Jong-Un. In Vietnam’s in Chau Thanh district, there are more than 8,000 hectares of red-flesh dragon fruit growing area, including 2,000 hectares of high tech cultivation. Foreign investors have poured US$8.47 billion into Việt Nam this year as of February 20, 2.5 times higher than the same period of last year, data from the Foreign Investment Agency under the Ministry of Planning and Investment revealed.